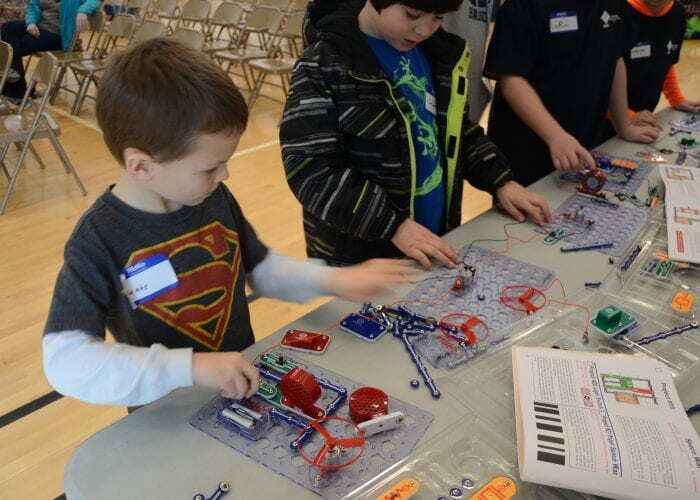 At our annual Robotics Day, Penn State’s IEEE Chapter makes an impact on younger generations by developing their skills and inspiring their interest in the field of robotics. 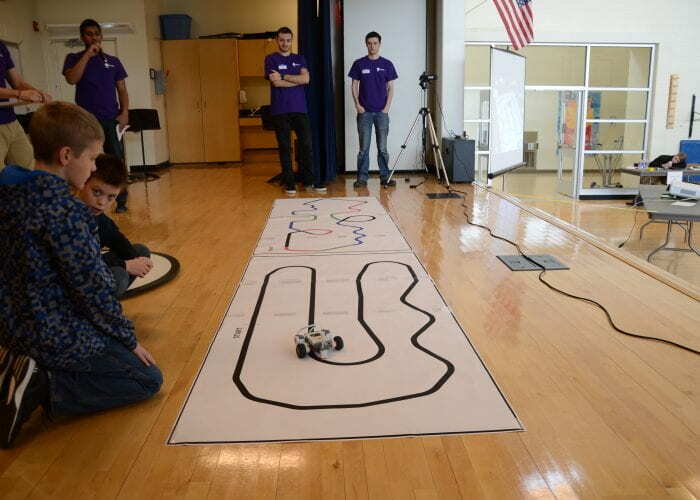 Our goal is to provide an opportunity for high school and elementary robotics teams to showcase their work, while also exposing them to the applications of robotics in undergraduate, graduate and industrial environments. 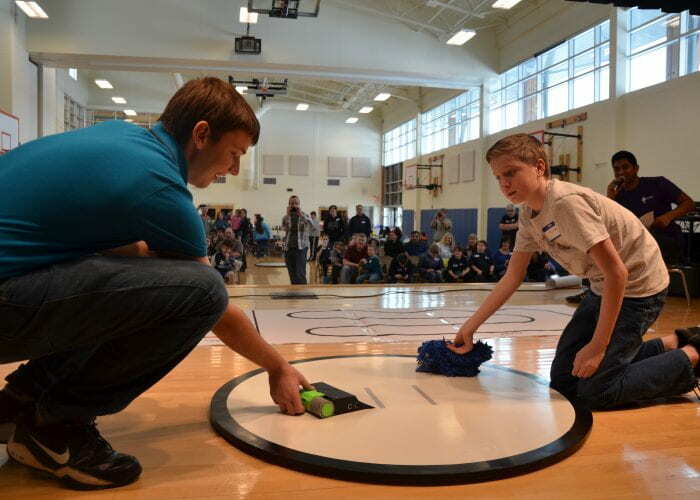 Robotics Day consists of three challenges: Line Follower, Moving Objects, and Sumo Competition. 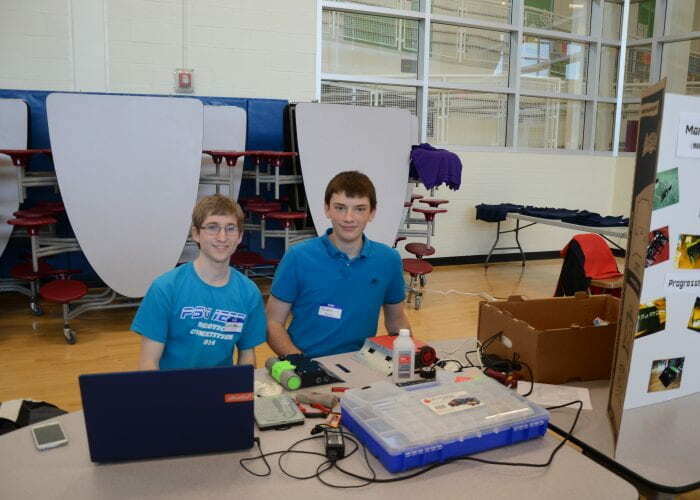 In addition to the competition, Robotics Day includes an involvement fair, where students participate in demonstrations led by student groups such as the Penn State Robotics Club and Society of Women Engineers. 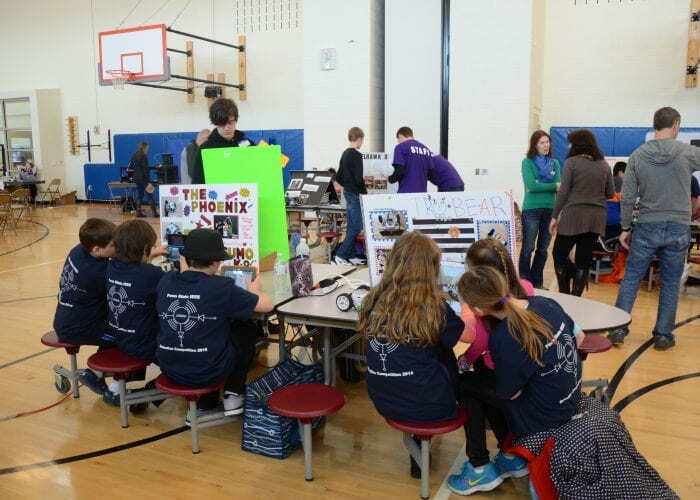 Culminating Robotics Day is a presentation from an industry sponsor, designed to show students what could be in their future if they continue to pursue robotics. 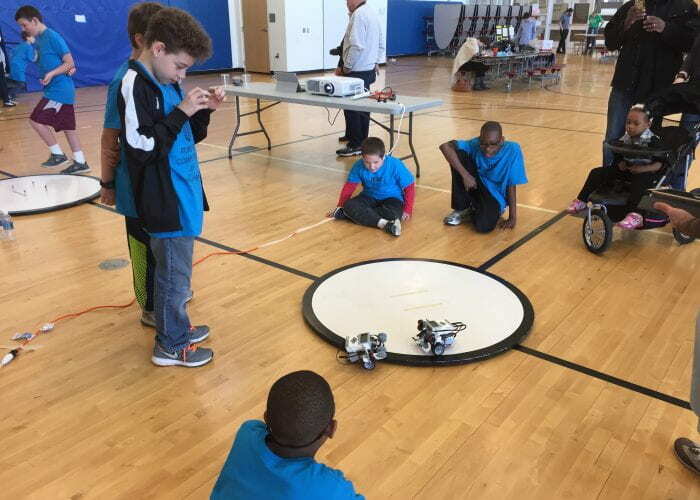 Robotics Day is one of the most rewarding events we host. 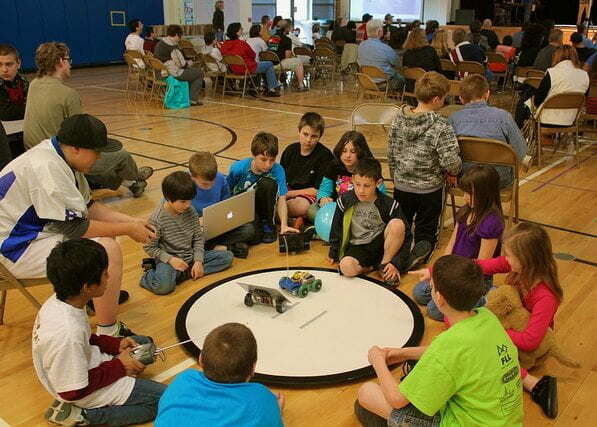 Through the presentations, mentorship, and technical challenges, we are able to spark passion for engineering in the upcoming generation. Contact Erica Murphy with any additional questions!